Rent The GlassHouse San Jose | Corporate Events | Wedding Locations, Event Spaces and Party Venues. The GlassHouse is known for its glamorous and stylish interiors with many contemporary twists. Complemented by its stunning open air patio, handicap access, onsite recommendations, bird suite, insurance, and wireless internet. Open 7 days 10:00am - 6:30pm Call to make an Appt for a tour! Following the expectations of world-class services, The GlassHouse is proud to offer a professional meeting facility supported by a comprehensive array of professional and state-of-the-art services. Our in house team offers an expert's knowledge in planning events that are unparalleled successes. We can accommodate all special requests from customized sales and marketing materials to global multimedia services. We offer full AV services to insure your next Training Seminar, Product Launch, Board Meeting, Team Building, Executive Coaching, Award Winning celebration is held in style. -Live aerialists, contortionists and many other amazing acts. 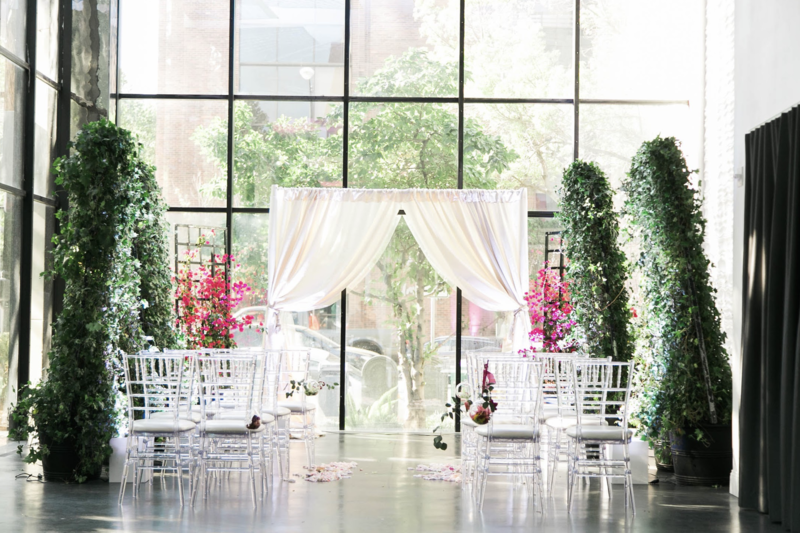 Exchange vows within a modern magnificent space under high ceilings, The GlassHouse's gorgeous interior will definitely compliment your moment. Our staff ensures you that your moment is held to your standards and beyond... because you own it. Our Wedding Consultants will help you design the perfect wedding from traditional ceremonies to Baraats. From the backstage, to the bar, food, and much more we attend to every detail as if your wedding is the most important wedding ever held. Take a tour and let us make you the toast of the town. The Baccarat Lounge- 1930 sq ft. The Waterford- 2440 sq ft.
Sky Patio- 1600 sq ft.
Lalique Lounge- 500 sq ft.